RS Industrial has created a complete line of industrial adhesives that are of equal or higher quality than most national brands. All ASP products have been value tested and performance-screened by our on-site lab, ensuring our customers the best competitive solution available. Our line of ASP hot melt adhesives are designed packaging, labeling, assembly, contract packaging and more. If you don’t have the solution, we will make it for you! For more than 25 years, our team of technical analysts has been helping customers find solutions for any adhesive application. Let us help you find the best adhesive for your bonding need today! 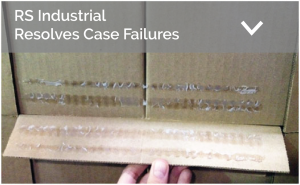 Interested in how our technical analysts helped a food manufacturer resolve their case failures? 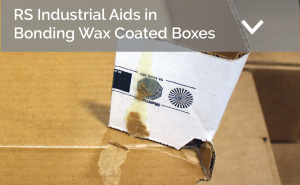 Or how our on-site lab was able to find one product to seal a variety of substrates? Check out the case studies below. Did you know that 100% fiber tear is one of the best ways to measure the bond strength and performance of an adhesive?